Will FCUM, Stamford and Darlington be on new grounds next season? Unless someone has more positive information I think we have to go with what we have. I'm sure it will be possible for changes to be made should it prove necessary. Stamdford's new ground is due to be completed in september, so there will be some home games played at the old ground before the move. They're indeed moving in with Stalybridge for now. With a knock-on to Step 5 and below. Presumably there'll be another reprieved club at level 4. Kidsgrove Athletic reprieved from relegation to the North West Counties League. As always the final constitution is subject to change by The FA until the leagues Annual General Meeting on the 14th June. Please note friendly matches are often subject to change at short notice. I have updated my posting of 'which league they were in last season together with post codes' and FC Manchester's post code with the latest league constitution changes as shown above. Thanks John, that's very helpful. 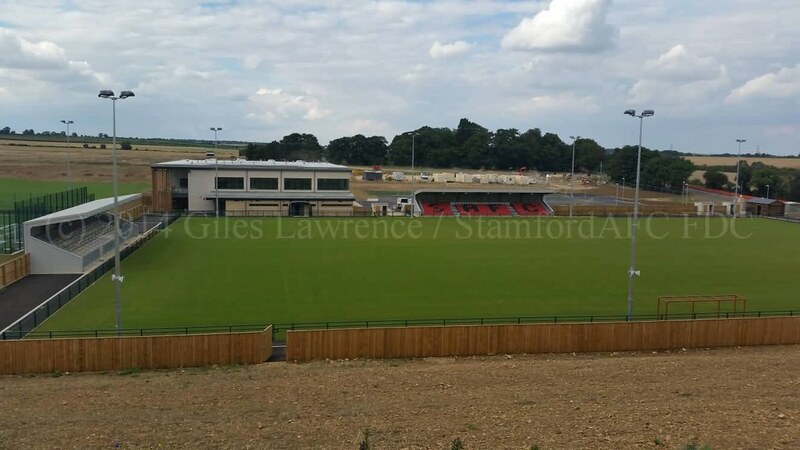 Stamford's new ground is due to be completed in september, so there will be some home games played at the old ground before the move. "...the plan is to move over there in early October, last I heard." I confidently predict Stamford's new ground will open before FC United's does! Oh dear Stamford! How depressing! That's a really interesting video of the building of Broadhurst Park, wondered how they put the turf down when its such a large area. It may be a while until its ready but it looks like it will be worth the wait. Stamford's new sterile dream 'ground' looks nearly ready on the otherhand - may tick it off early so I can forget it exists! I agree, that place does not look good.Wonder what's on the side where the photo was taken from. Maybe nothing or an Atcost stand?.